enny McCarthy—savvy, telegenic, and pulchritudinous—is joining the popular daytime talk show "The View." McCarthy is a strident proponent of not vaccinating kids, as she believes vaccinations made her son autistic. Now, many scientists and science writersare worried she'll use her new job to spread the word. News of her hire comes less than a week after the end of an outbreak of measles in Wales, precipitated by the low measles vaccination rates there, that sickened more than 1,200 and killed one 25-year-old man. CLAIM: Historically, recommended vaccines have been shown to harm children. Why would today's recommendations be any different? Yes, some older vaccines had severer side effects than current ones do. I'll look at two examples, polio and pertussis, which is commonly known as whooping cough. 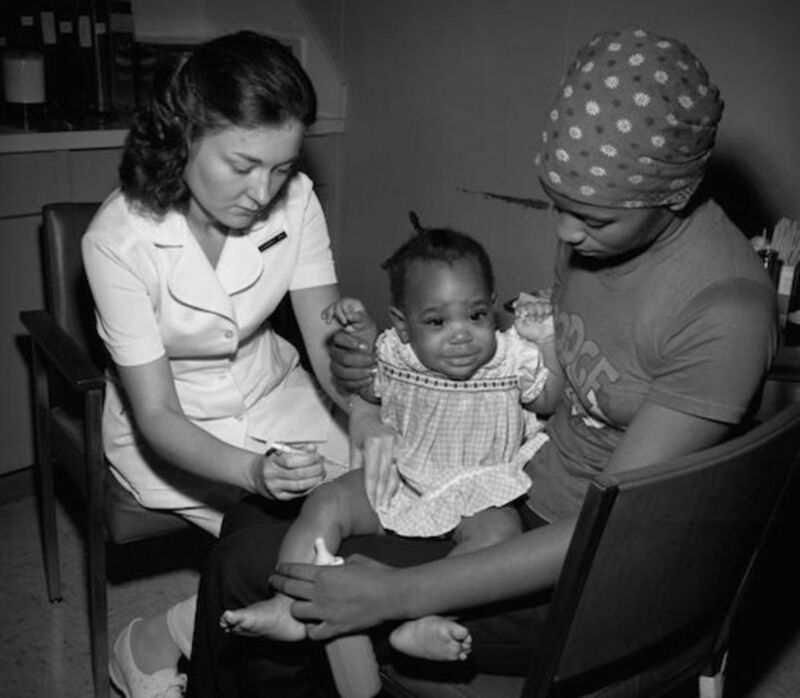 No one has gotten polio from the newer polio vaccine.Before 2000, pediatricians in the U.S. routinely gave kids a polio vaccine that contained live, attenuated polio virus. Now, American kids get a vaccine with an "inactivated," or killed, virus. Very rarely, the live virus in the older vaccine could actually revert to its natural state and cause paralysis, a tragic consequence. Some people in the world still deal with this risk. Live, attenuated polio vaccines are used in some regions where polio is endemic because those who get the live, attenuated vaccine are able to pass on their immunity to others around them, which helps spread immunity more quickly. People are also able to take the live, attenuated vaccine by mouth, instead of in a shot, so it's quicker and easier to get to people in regions where there are few doctors and nurses. Different countries must judge the risks and benefits of the oral polio vaccine differently; even the U.S. had once judged the live, attenuated vaccine worth the risk, when there was nothing better available. No one has gotten polio from the newer polio vaccine. Before the 1990s, kids in the U.S. got a pertussis vaccine with severe potential side effects ranging from fever to fainting fits. Some parents sued vaccine manufacturers, claiming that the shot caused brain damage. Scientists have since determined that the parents' claim is unproven. U.S. doctors now use a new pertussis vaccine with milder side effects. Of course, it's up to everyone to decide individually whether the risks of a medicine outweigh its benefits. Consider the numbers around vaccines, though. Often, something like 1 in 1,000 kids experience moderate side effects such as prolonged crying. For more severe side effects, such as seizures or that rotavirus-caused bowel blockage, the odds go down to one in tens of thousands. Among children who contract measles, one in 1,000 get encephalitis, an acute brain infection, and one or two in 1,000 die. In 2011, among the 18,000 Americans who got whooping cough that year, more than 1 in 2,000 died, all of them babies. CLAIM: It is dangerous for little babies to get so many vaccines at one time. The immune system can get overwhelmed. Babies really do get a lot of vaccines at once. Their first round alone includes six shots. And the list of recommended childhood vaccines has grown in recent decades, as researchers have developed more and more immunizations. States with lenient policies about immunization exemptions had 90 percent more whooping cough cases than stricter states.However, numerous studieshave found no link between getting the recommended schedule of vaccines and getting other diseases later in childhood. There's no credible scientific evidence that vaccines are able to "overload" babies' immune systems. Though immature, babies' systems are prepared to handle vaccines. They already handle numerous viruses and bacteria all around them in everyday life. The U.S. Centers for Disease Control and Prevention recommend vaccines at very young ages because that's when kids are the most vulnerable, as some of the natural immunization they got from breastfeeding fades. CLAIM: Vaccines have dangerous ingredients in them. One of McCarthy's--and other vaccine opponents'--most popular claims is that thimerosal, a mercury-based preservative once common in vaccines, causes autism. There's so much evidence showing thimerosal doesn't cause autism. Nevertheless, thimerosal no longer appears in any vaccines except influenza because an infant receiving the recommended schedule of old vaccines would get a higher-than-recommended dose of mercury, which is toxic in high levels. The Children's Hospital of Philadelphia has more information on the ingredients in vaccines. They are not dangerous. CLAIM: It's not like a parent's decision not to vaccinate his child harms other kids. Vaccinated kids generally won't get sick from the preventable diseases that they've been inoculated against. However, if a non-vaccinated kid gets sick with a preventable disease, there are still several people he may infect beyond non-vaccinated classmates. He may infect babies that haven't yet been scheduled to receive their vaccines. He may also infect the small percentage of kids for whom their immunizations don't work, as immunizations aren't 100 percent effective. The measles vaccine, for example, is more than 95 percent effective—very good, but not perfect. Where kids aren't vaccinated, more people get sick. In 2011, the states with lenient policies about immunization exemptions had 90 percent more whooping cough cases than stricter states, [according to the Institute of Medicine](http://www.iom.edu/~/media/files/report files/2013/childhood-immunization-schedule/childhoodimmunizationscheduleandsafety_rb.pdf). CLAIM: There's nothing wrong with spacing out my child's vaccines, if I want to. Delaying a vaccine just means there's that much longer a window for an unimmunized child to get sick. Limiting the number of doctor's visits children need to get all their shots also helps more families stick to the recommended schedule and reduces the costs of vaccination. Beyond that, however, there's little evidence about which alternative schedules of vaccinations is best and whether alternative schedules are better or worse than the standard schedule. The standard schedule has been studied because the vast majority of U.S. kids get it, but alternative schedules are pretty new and several different alternatives exist, so they are difficult to study. The Institute of Medicine is trying to figure out whether a study of alternative schedules is feasible. Some delayed schedules celebrities (and celebrity doctors) have endorsed leave out some vaccinations altogether, which leave kids vulnerable to those diseases. CLAIM: Every medicine has side effects, and I want to protect my kids. It's always important to know about side effects before deciding to give your kid a vaccine or another medicine. Very rarely, kids may be severely allergic to a vaccine. Allergic reactions generally occur within hours of getting a shot. The reaction may be bad enough that a kid can't get the rest of the shots in that series, which means he or she will have to rely on other kids being vaccinated to protect him from that disease. 1 in 20,000 to 1 in 100,000 babies who get the rotavirus vaccine get a serious bowel blockage for which they have to visit the hospital. Some will need surgery. This isn't an exhaustive list of the potential side effects of different vaccines, though I've tried to cover the most severe ones. You can find out more from the Centers for Disease Control and Prevention.